I hope you enjoy looking through these pages and learning about our beautiful Burmese cats. We are a small New Zealand Cat Fancy registered cattery located at the beach in Motueka, Nelson, in the South Island of New Zealand. The area is known for its tourism, scenery, horticultural farming, fairs and markets. 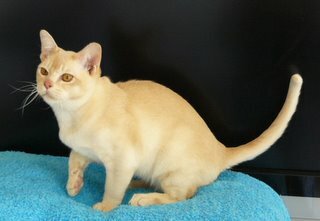 My aim is to breed quality Burmese cats of excellent type, temperament and health. All my breeding cats have been tested as negative for Hypocalemia or have come from negative parents so there is no risk of this disease developing in a Millrock kitten.